In a televised-address on February 17, Venezuelan President Nicolas Maduro delivered some crushing news to his country. 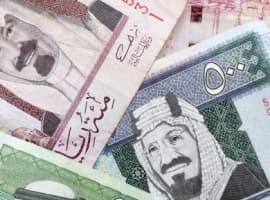 To address the fiscal crisis facing the country, the government decided to raise fuel prices by more than 6,000 percent. While that may sound dramatic, it will still leave Venezuela with some of the cheapest fuel in the world. 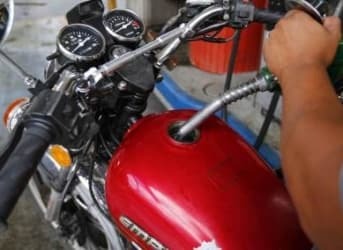 Prices for 95 octane gasoline at the pump will jump from 0.097 bolivars to 6 bolivars. It was the first increase in fuel prices in 20 years. “This is a necessary measure, a necessary action to balance things, I take responsibility for it,” Maduro said in his televised speech. The moves are an acknowledgement that Venezuela’s economic crisis is growing worse. 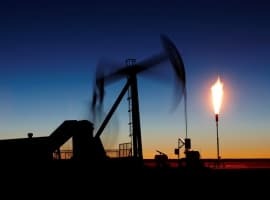 Oil accounts for 95 percent of the country’s export revenue, and with Venezuela’s benchmark crude price down below $30 per barrel, the country’s resources are draining fast. Perhaps the most damning statistic that President Maduro presented in his five-hour televised address was this: the state-owned oil company PDVSA only took in $77 million for the central bank in January, which is a shocking fraction of $815 million earned in January 2015, which, in turn, was down from $3 billion in January 2014. A default seems highly likely at this point, but it is still unclear when or how that might happen. Venezuela’s foreign exchange has plunged to just $15 billion, which is only enough to last it through the first quarter of 2017, according to Verisk Maplecroft, a risk analysis firm. Analysts expect the South American OPEC member to meet its February bond payment of $2.3 billion. But a further $6 billion in payments later this year present a much more formidable problem. Even if somehow the government and PDVSA manage to meet those payments, 2017 looks much worse. Another $7 billion is due in April 2017, and a further $3 billion falls later in the year. “It now is a question of when they default, not if,” Russ Dallen of Latinvest, an investment bank, said in January. "The only thing that could change that is a sharp recovery in oil prices, and/or a bailout from Venezuela's friends in China, Russia or Iran." Venezuela’s bonds maturing in 2020 have a yield of 37 percent. 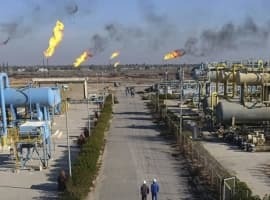 One of the last lifelines that Venezuela has is help from a country like China, which has already lent the South American OPEC nation around $50 billion. China, no doubt wary of throwing good money after bad, may balk at extending any more assistance to Venezuela’s sinking ship. China also has a growing list of economic problems of its own. At the same time, Venezuela has become a bit too big to fail for China – there is little for China to gain by letting Venezuela’s economy entirely meltdown. How China might respond to pleas from President Maduro is uncertain at this point. The only thing that is clear is that Venezuela desperately needs oil prices to rise. That is exactly why Venezuela’s oil minister Eulogio del Pino has been feverishly traveling between Moscow, Riyadh and Tehran, trying to convince some of the world’s largest oil producers to cut their production. For now, it is unclear if his efforts will be enough. I hope the population of Venezuela is smart enough to save in gold, silver, or bitcoin. This will be happening very VERY soon in the USA. So when does Venezuela, while on a visit to the middle East, send out its black ops people to blow up some pipelines and/or storage tanks? Viva La Revolucion......No Food....No Toilet Paper....No Electricity....No Problem! Feel the Bern.....Bernie Sanders...... has ALL the answers to creating a surefire UTOPIA in the United States.......FRIGGIN' JERKS! As if The EMPTY SUIT in CHIEF's "Hope & Change / Smoke & Mirrors" Routine wasn't enough!